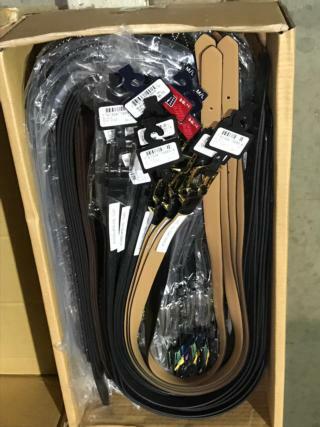 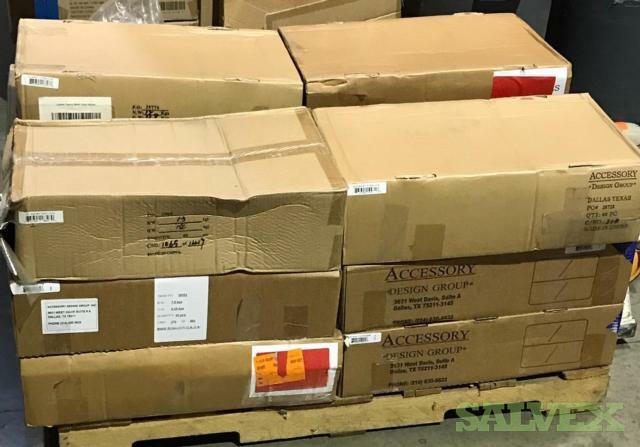 Each box has a random assortment of belts. 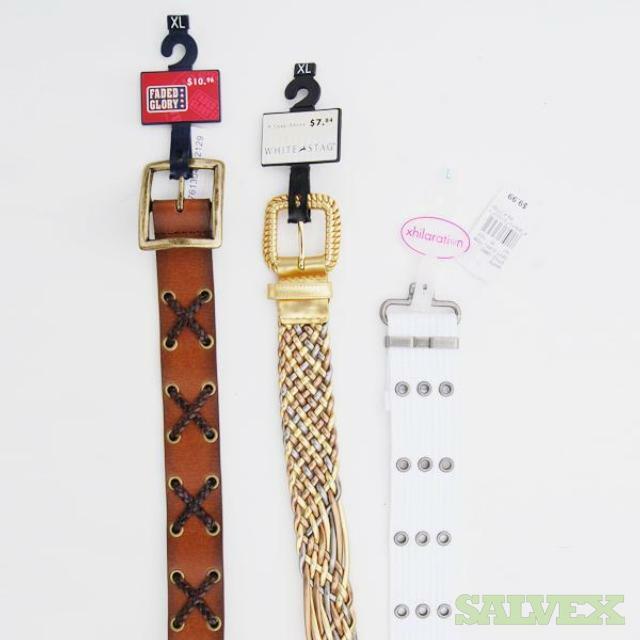 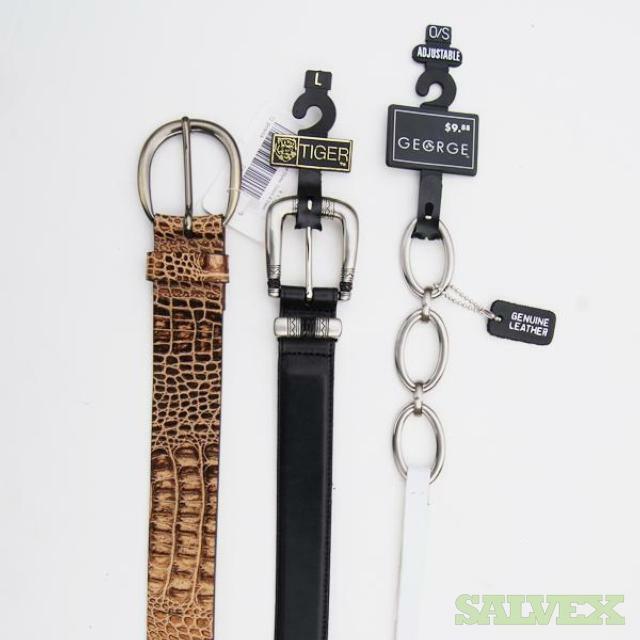 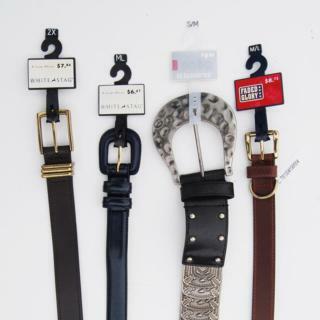 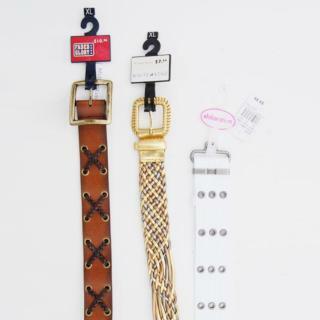 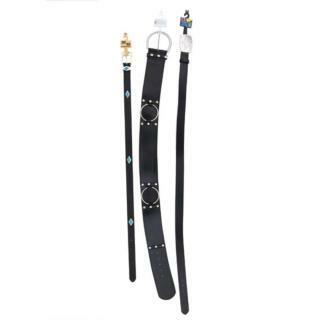 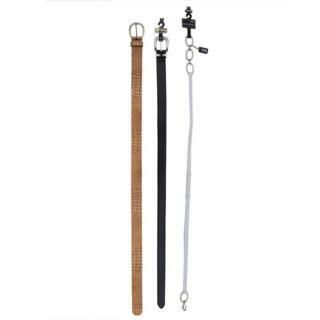 They are all name brand belts such as: Faded Glory, White Stag , No Boundaries, Tiger, and George. They are retail ready with tags and UPC's.